Do you like shady weekends? 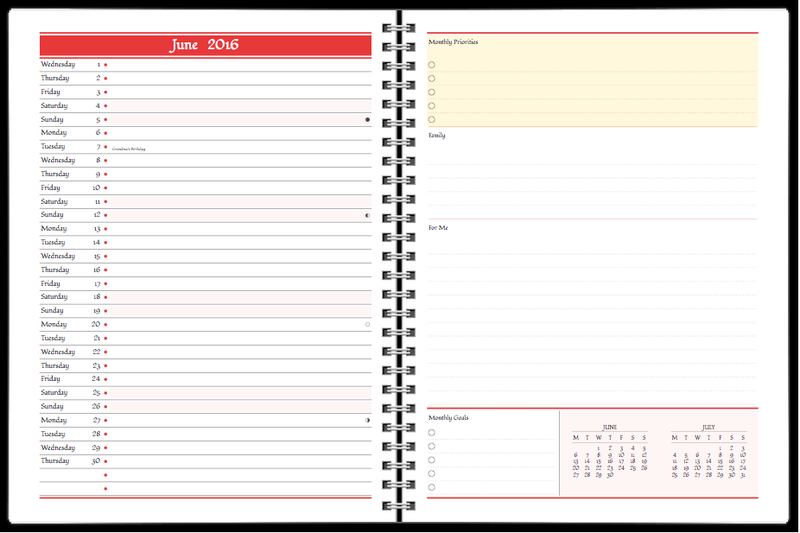 We added shading options a few weeks ago and already we’re seeing many great-looking planners where you have added shading selectively and very well. 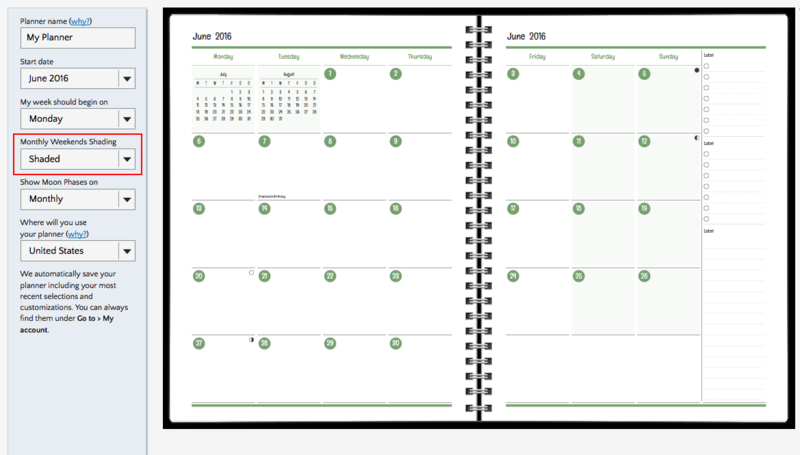 But a few of you pointed out that something was missing: What about shaded weekends on monthly layouts, especially on row layouts, where it can be hard to follow each row since there are so many of them? We allowed you to shade or not to shade but we didn’t give you the option to shade only on weekends. So now we’ve added shaded weekends as an option on monthly agendios. It’s a simple pulldown menu selection (Shaded, not shaded). Look for it on the info screen when you start on the Builder. Extra, Extra! Get your extra pages!